In Music Memorabilia > Beatles Memorabilia > Show & Tell and Mens Clothing > Concert T-Shirts > Show & Tell. 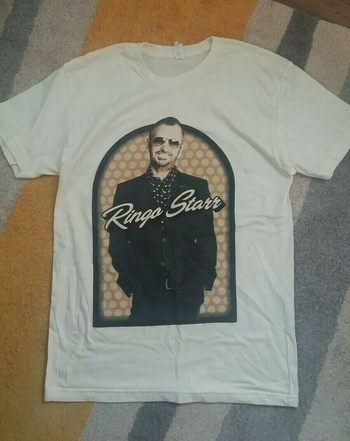 This cream colored "All Starr Band" tour shirt from 2012-13 belonged to Ringo Starr. 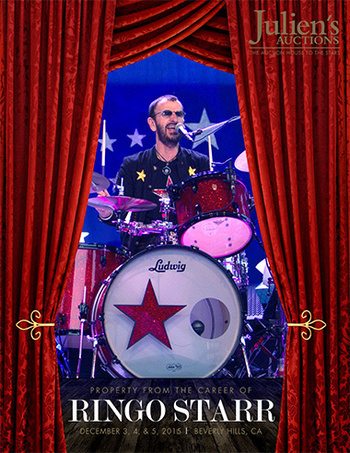 This was part of Ringo's personal collection of his "All Starr Band" memorabilia. It was sold thru Julien's Auction in December 2015. It was the first time any of The Beatles agreed to hold an auction and sell personal memorabilia. Money raised went to his charity, the "Lotus Foundation". This was part of lot #1351. Owned by the man himself!! !